The State Cabinet accorded approval to grant amount equal to minimum of pay band plus grade pay and fixed DA of 144 percent to those PTAs/Para Teachers who have completed three years of service on contract basis as on 1st October, 2018 and the increased amount will be payable from 1st April, 2019. The Cabinet also gave its approval to grant amount equal to minimum of pay band plus grade pay and fixed DA of 144 percent to PTA teachers and left out teachers appointed under Grant in Aid to PTA Rules 2006 who have completed three years of service as on 1st October, 2018 (presently on contract basis and left out (PTA–GIA both) and the increased amount will be payable from 1st April, 2019. 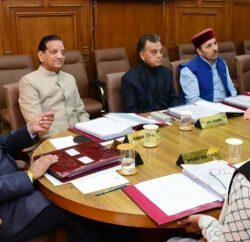 The Cabinet gave its nod to open new HPPWD Division at Bhoranj in Hamirpur district alongwith creation and filling up of 12 posts of different categories to manage the division. 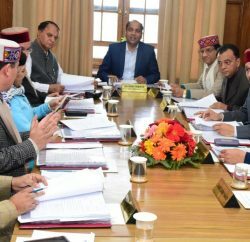 It also approved the proposal to make partial reorganization of Kullu and Banjar Divisions of Public Works Department under Kullu Circle to facilitate the local people of the areas. Now Sub Divisions Manali and Katrain will fall under Manali Division, Sub Divisions Kullu, Bhunter and Shat under Kullu Division and Sub Divisions Banjar, Larji and Bajaura under PWD Division Banjar. It also gave its nod to create new Irrigation and Public Health Division at Bhanjradu of Tissa in Chamba district. The Cabinet accorded its approval to fill up 75 posts of Agriculture Extension Officers on contract basis in Agriculture Department through direct recruitment by H.P. Staff Selection Commission. It gave its nod to enhance the honorarium of Anganwari workers, Anganwari Helpers and Mini Anganwari Workers from Rs. 6250 to Rs. 6300, from Rs. 3150 to Rs. 3200 and from Rs. 4550 to Rs. 4600 per month respectively from 1st April, 2019. 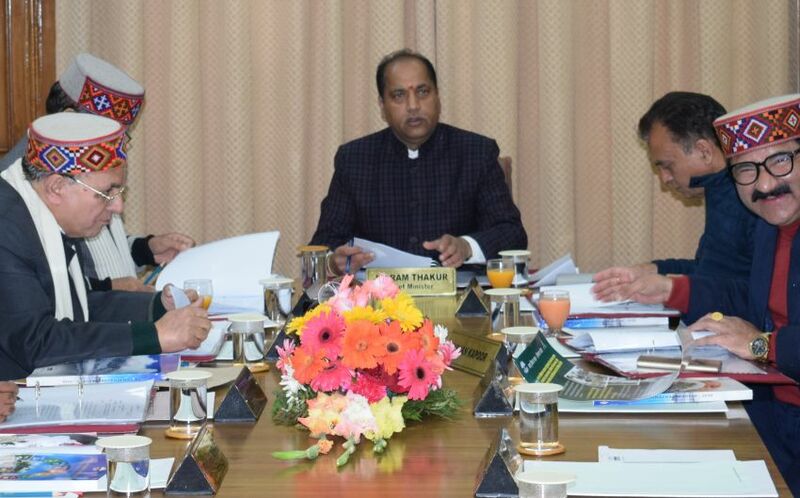 The Cabinet gave its approval to fill up 62 posts of staff nurses in Shri Lal Bahadur Shastri Government Medical College, Ner Chowk in Mandi district and 33 posts of staff nurses in Dr. Radha Krishanan Medical College Hamirpur on contract basis. The Cabinet gave its approval to the guidelines for Ujjwala Grihini Suvidha Yojna for providing subsidy of Rs. 3500 at par with the State Government run Grihini Suvidha Yojna. 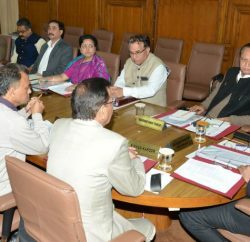 The Cabinet gave its approval in principle to set up a Training Academy/Centre at Barchwar in Sarkaghat area of Mandi district to provide training to youths of the State interested to join Army/Navy/ Air Force and other para military forces through entrance tests conducted by Indian Military Academy/National Academy and Staff Selection Commission.